We welcome our international customers from around the world. While we sell teepees (tipis) in many countries – from Down Under to South America, Asia and Europe – our biggest international markets after Canada are Australia and Northern Europe. Australian and New Zealand teepee customers got their own page at Teepees Down Under, and honoring Nicole’s home country, she made a page in German for Indianerzelte in Deutschland. Browse through our page Teepee Camps and Retreats Europe , Asia, USA including the Pacific Northwest, Latin America, Middle East or Canada to find out if we already supplied a public campground or retreat center in your country with our teepees. You’ll find Nomadics Tipis to rent in England, Germany, France, Sweden, Norway, Denmark, Holland, France, Croatia, Lithuania, Romania, Japan, Hong Kong, Lebanon, Israel, Mexico, Brazil and Colombia. You might want to spend a few days in a teepee before you commit to having it in your backyard – and you can chat with the contact person about their experience importing a Nomadics Tipi from the USA. To see pictures from our worldwide customers, go to our Teepee Photo Gallery and scroll down to the bottom of the first page. This is where your teepee picture could be one day. This page has specific information for our European customers, but the procedures explained here are valid for any international inquiry. What differs is the price for shipping and the importation costs – please read along and then write Nicole an e-mail at nomadics@tipi.com with your additional questions. Our most durable teepee cover is the 15oz Sunforger All Weather. It is made of 15oz. of cotton per square yard (425gr/0.83sqm) and it is treated with a mold and mildew resistant Sunforger finish. It is our most durable fabric that can be left outside year around. The 13oz Sunforger is essentially the same fabric with less cotton per square yard (370gr./0.83sqm). We recommend this fabric for camping and set-up during the summer. The 13oz Sunforger flame resistant fabric is designed for public places such as campgrounds, retreat centers and vacation camps where there is a need to have a flame resistant fabric to comply with local fire code regulations. Although it is the most expensive fabric, it is not necessarily the best for individual use. 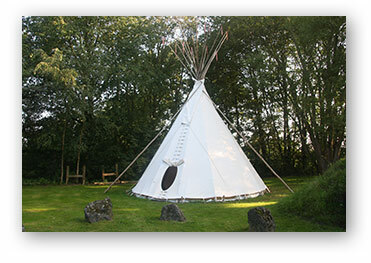 With care, there is no problem making a fire in a 16ft and larger teepee made out of the non-flame resistant fabric – and if you are concerned, you can always choose a flame resistant teepee liner for the interior. The Sunforger finish includes the maximum allowed level of mold and mildew inhibitor, and while it performs well in moderate to dry climates, we found that in wet and humid climates around the world (England, Australia, parts of Europe, Central American/Asia), this finish might not be sufficient to keep mold and mildew away. The chemical composition of the Sunforger finish is designed for the most common mold spores in the USA and might not work in your country. We recommend that you apply a local mold inhibitor before you even put your teepee up. 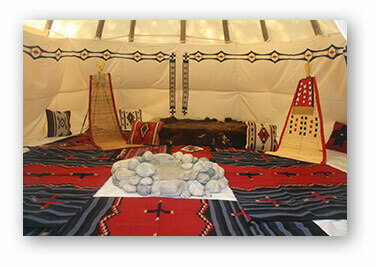 Please read our section on care of your teepee which explains how to avoid or treat mold & mildew. Our 13oz. (370gr.) and 15oz. (425gr.) Sunforger packages are available in light tan or in a cream white color. The 13oz. Sunforger flame resistant cover and the 10oz. (285gr.) flame resistant liners are available in cream-white only. 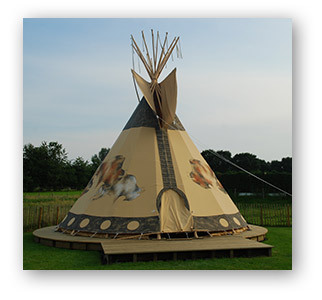 For teepee sizes from 12ft to 20ft, a 6ft liner is adequate and included in the package. For teepee size of 22ft, a 9ft liner is included. All you need in addition are poles. You will find further information about teepee poles and pole suppliers in Europe in the text below. 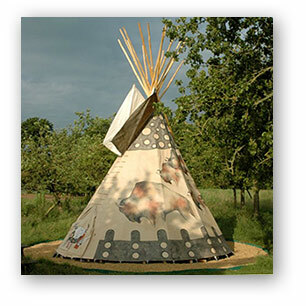 If you are interested in the 8ft kids tipi, we can ship it with or without the poles. For prices, please e-mail us. You might be pleasantly surprised by the “low” prices you find on our pricelists. The perception of “low” obviously varies depending on the exchange rate of your local currency to the US Dollar. Besides this, it is true that our teepees here in the US are very affordable and we pride ourselves in keeping our prices as accessible as possible. Unfortunately, importing a teepee into your country requires you to pay additional taxes and duties and we want you to be aware of this, so you do not have any surprises. All prices stated on this site are in US Dollar unless otherwise specified. First, be aware that you might be asked to pay Value Added Tax on the final price of the teepee including the cost of shipping. VAT is around 19% in most European countries, but ranges from 8% in Switzerland to 25% in Norway and 27% in Hungary. Duties for teepees of 100% cotton products are 15% in most countries. Adding this up, calculate around 30% or more on top of the price that is quoted for “package + freight” as shown in the table below. For Latin American countries, be prepared to pay much more, but then you are probably already well aware of the high cost of importing products from the USA. 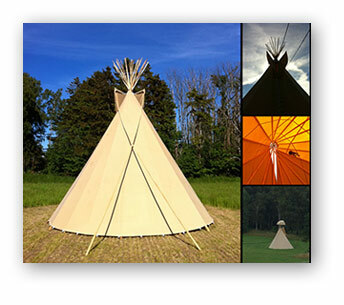 Once you decide to order a teepee from us, we will email you a written cost estimate including the shipping costs. Your total purchase must be prepaid before we ship. Unpainted teepees take about three weeks to arrive anywhere in the world, painted teepees can take 4 – 8 weeks, depending on the time of year. To speed your production time, please contact us as soon as possible. Knowing your intentions will help us plan and we can reserve a spot in the production line for you, so once you make your final decisions, we can ship your teepee out quickly. 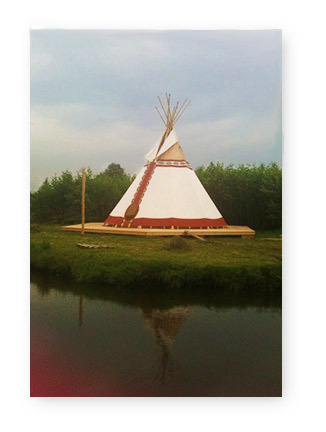 Importing your tipi has just become much easier, as of Fall 2012. We were able to negotiate very economic shipping rates with Fedex and are now able to ship the tipi directly to your home address. The Freight charges in the tables indicate the total cost that we will charge you for shipping. Fedex in your country will also charge you sales tax and import duties calculated on the base of the total amount of your invoice. Nomadics is not involved in your importation process, but if you have difficulty, please let us know. We will send you your tracking information via e-mail, and Fedex will contact you once your packages have arrived and are ready for delivery. 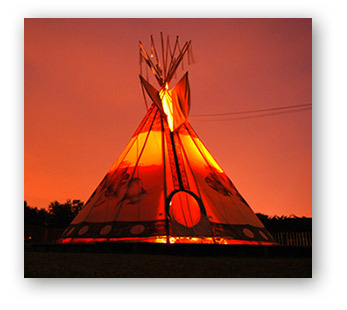 We at Nomadics guarantee our craftsmanship for the life of the teepee, for all teepees purchased in the USA. We cannot extend this guarantee to countries abroad because of the shipping complications. If there is an obvious fault in the fabric or craftsmanship, though, we will always work with you to find a meaningful solution. If you would like us to do your artwork, you can design your own teepee cover and liner with our interactive feature “Design Your Own Teepee”. Go to ‘Start from Scratch’, design it, then click ‘Review and Order’ and send an e-mail copy to yourself first. 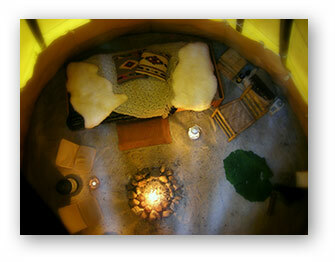 You can forward that e-mail with your personal notes to nomadics@tipi.com. Alternatively, you can go back to the ‘Review and Order’ page and by scrolling further down, you can also ‘place an order’. Just put your name (country in parenthesis) and your phone number in it and 1111 for an order number if you do not have one yet. Hit ‘send’ and we will get a copy of your artwork idea. We will call you at the phone number you give us – please don’t forget your country code. You can also send us the numbers of the artwork designs you would like, or your own designs or sketches directly to our e-mail. Unless you plan to order various sets at once and are willing to pay an extra $2,000 for heat-treating the poles, we cannot send poles to your country. All our teepee buyers have managed to find poles locally, either through commercial outlets, the local forest service or at saw mills. Any straight tree will work, and so will bamboo. Bamboo is a very good and more inexpensive alternative to trees, although the bamboo poles will not last as long as wooden poles. If cared for well, wooden poles can last 10-15 years. Please refer to our page about teepee poles for information about what exactly you need for your size of teepee (measurements in ft/inch), and how to prepare your poles. This table here give you the same measurement in the metric system. * = Two of them are smoke flap poles. Please cut them to (Tipi size + 70cm). Marcel Looman is running an outdoor adventure camp in The Veluwe, The Netherlands. 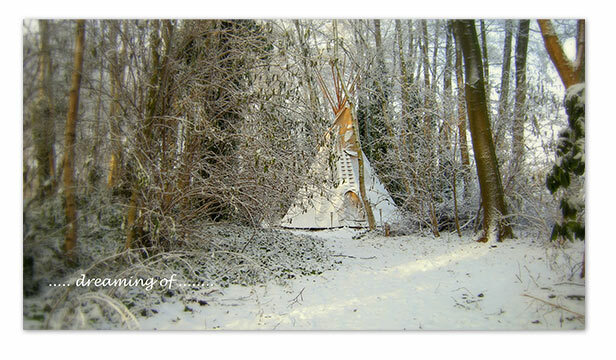 He has ordered tipis several times from us and might have used tipis for sale. He can also assist you with your importation questions and with tipi poles. Check out his website www.natuurtalent.eu, call him at 31-(0)6-34017919 or contact him by email at marcel@natuurtalent.eu. He is also featured on our Tipi Camps and Retreats Europe page. We supply various campgrounds in England who get their poles locally. Please look them up on our webpage under Camps and Retreats Wolrdwide. Base Nature Vercors – an adventure and vacation camp, and they also sell our teepees on their website www.basenaturevercors.org. Contact Bernard Julien and ask about tipis and poles. 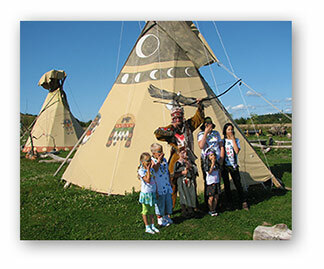 His camp is also featured on our Tipi Camps and Retreats Europe page. Hans-Georg Kober in Waldbronn (north of Stuttgart), Baden-Württemberg can provide and deliver poles. Call: 07243/980502 or e-mail Freunde24@gmx.de. Anticipate about 3 weeks delivery time at least. Holzhandlung Durst in Walddorfhäslach (south of Stuttgart), Baden-Württemberg can also manufacture poles, for approx. 23 Euro/pole. Call 49-(0)7127-31577 or e-mail: info@holzhandlung-durst.de. Anticipate 4-6 weeks until ready and you might need to organize delivery. So much for an overview – if you have further questions, feel free to e-mail Nicole in English, German, Spanish or French at: nomadics@tipi.com. Once you are ready to order, we will need your full address, phone number and credit card details (number, expiration date and three-digit verification code). We will need to know the size, fabric and color, accessories and artwork if any. With this information, we will send you an order confirmation with exact freight costs.